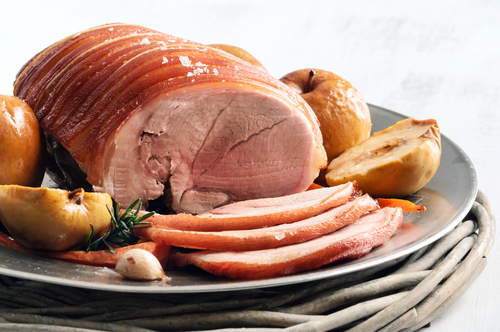 Half leg Pork boneless from the Childhay organic farm; the half leg pork is soft and juicy. Such a great joint and is ideal for the health conscious as the leg is all meat. Great for a Sunday roast and quick to cook. The leg is a very underrated joint and will not be dry if cooked correctly. TOP TIP: To get the best out of your half leg pork crackling rub some sea salt and olive oil into the rind. If the meat is cooked you can always remove the crackling from the pork leg and continue cooking.